I know and value that every experience in my life is part of my personalized healing curriculum, that nothing is random and that EVERYTHING is guiding me to remember my wholeness. Even still, I spend quite a bit of time and energy resisting my lessons. Resistance sneaks into my life in many forms. Currently I am wrapped up in wishing other people’s behavior was different — ya know — for my own comfort. I have an intense, growth-obsessed personality and believe I really signed up for a lot of lessons this time around. Recently I was wah wah wahhing about how I am tired of so many lessons. But the truth is I am tired of resisting them. Hence the birth of my current mantra. 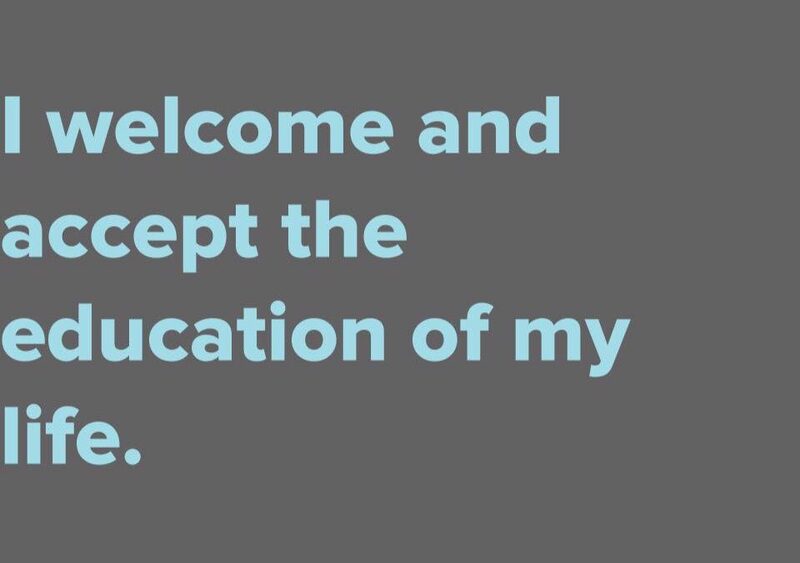 I will not resist the education of my life but instead trust and celebrate it. When I look at my recent frustrating experiences through this filter this is what occurs to me: My self worth is not a commodity that fluctuates like the stock market depending on other people’s treatment of me. I don’t become more valuable when I am adored or less valuable when I am disrespected. My value is intrinsic, unshakeable, divine. Now, instead of feeling snippy and mad, I am basking in the sweet feeling that comes from viewing my world, and everything that happens in it, as a benevolent teacher who is guiding me home.